This entry was posted on January 15, 2019 by Haley Anhut. Shopping for an engagement ring for a marriage that isn’t your first can sometimes seem tricky. Many women don’t want their next ring to be too flashy, or even to make a big deal about this diamond. There’s a large possibility that their budget is now much larger than when they were maybe in their 20s, but they still want something simple and sophisticated. We’re here to tell you to knock all of those preconceived notions out of your head. An engagement ring is a universal sign of love. No matter how many times you’ve been married or the reasons behind ended marriages, you should feel just as excited to receive this new engagement ring. Don’t worry, we’re here to help! From new styles, settings and even colors, a lot of things might have changed since you were last ring shopping. And, even if you loved the style of a previous ring, a new diamond technology is making waves in the industry and giving couples a modern option for their engagement rings. So, take a read through our helpful resource for the next time you say, ‘yes!’ to an engagement ring. Let’s be honest. A lot has changed in the engagement ring industry over the years. Just like handbags and shoes, certain styles remain timeless, while others go in and out of style. For example, a gorgeous solitaire ring is still wildly popular because of its classic look and how well it pairs with just about anything. 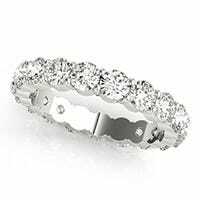 However, over the past few years, rings with multiple diamonds or accent diamonds have made their way onto the scene. 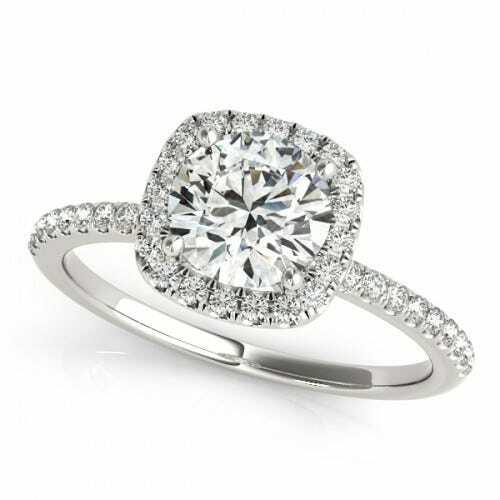 Whether they’re lining the band of the ring or encircling the center diamond, these extra stones leave a ring finger with even more sparkle and a glamorous look. But adding additional diamonds isn’t the only change we’ve seen. A trend that’s been just as popular is switching up the color of the setting. In the past few years, white gold or platinum have both been extremely sought after. This color looks beautiful next to the shimmer of a diamond and pairs nicely with other popular jewelry, such as silver. However, 2018 brought a new ring color that we’re over the moon about — rose gold. This breathtaking shade of pink can put a modern twist on any classic engagement ring and matches with just about everything. Due to this popularity, we’ve made sure all Clean Origin rings are available in white, yellow and rose gold. Can’t decide between two colors? We’ve got yet another trend for you: stackable rings. An engagement ring + a wedding band no longer equals a completely decorated finger. Women are now adding more bands to their ring finger to give the appearance of a stack instead of just a pair. And not everyone sticks with the same monochromatic color scheme. Throwing a rose gold band into a mainly white gold stack is a fun way to switch things up and add a pop of color. These additional rings make a great anniversary gift, so keep them in mind even after the wedding day! In 2006, the world was exposed to the dark side of diamond mining with the film ‘Blood Diamond’ featuring Leonardo DiCaprio. After the movie brought light to the negative implications of this industry, there still wasn’t a diamond alternative for women who wanted to remain socially conscious. Motivated by this hole in the industry, individuals such as Alexander Weindling (founder of Clean Origin) vowed to bring women the same gorgeous diamonds with a new origin. Thanks to technology and science, lab-grown diamonds are taking the industry by storm and finally giving individuals an ethical, eco-friendly option. By replicating the growing process, scientists have figured out a way to create a stone with the same chemical, physical and optical make-up as a diamond found in the earth. But, the sustainable practice of lab-created diamonds isn’t the only reason that couples are so excited about this new technology. Similar to companies such as Warby Parker, lab-grown diamonds have reduced the supply chain and therefore can price their diamonds much more competitively. As a result, man-made diamonds can be anywhere from 20-30% less expensive than mined diamonds. So, this time around, you can opt for a diamond that doesn’t come with a ton of negative baggage. Lab-grown diamonds are also the perfect way to modernize an old ring. Maybe you’re hoping to use a family heirloom or you found a gorgeous vintage ring at your local pawn shop. By replacing the current stone with a lab-grown diamond, you’re not only updating the ring, but you’re making the statement that mined diamonds are no longer an acceptable option. This is also great for couples that have decided to renew their vows! Upgrading your current ring with a bigger lab-grown diamond is a symbolic representation of a new beginning — not just for your relationship, but for our earth. No matter the circumstances, feeling confident about your engagement ring choice is our #1 priority. Whether you’re open to a new ring style, or you’re sticking with a classic look that you know works for you, buying a ring made with a lab-grown diamond is the perfect way to add a contemporary touch. No matter your preference, we will do everything we can to help you find a ring that gives you butterflies every time you look down at your hand!